You cannot begin to fly until you jump…. 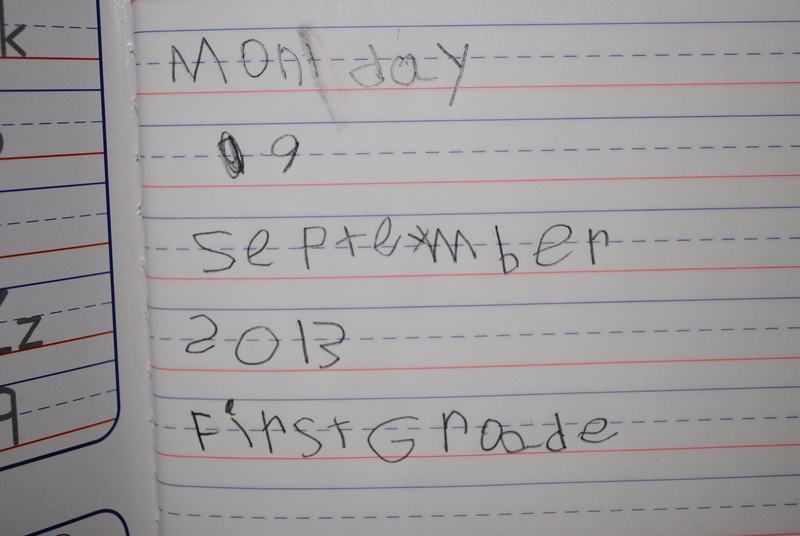 Today is TigerBoy’s first day of First Grade. Since I love the idea, and because my ancestry is German, I made him a Schultute for his first day. 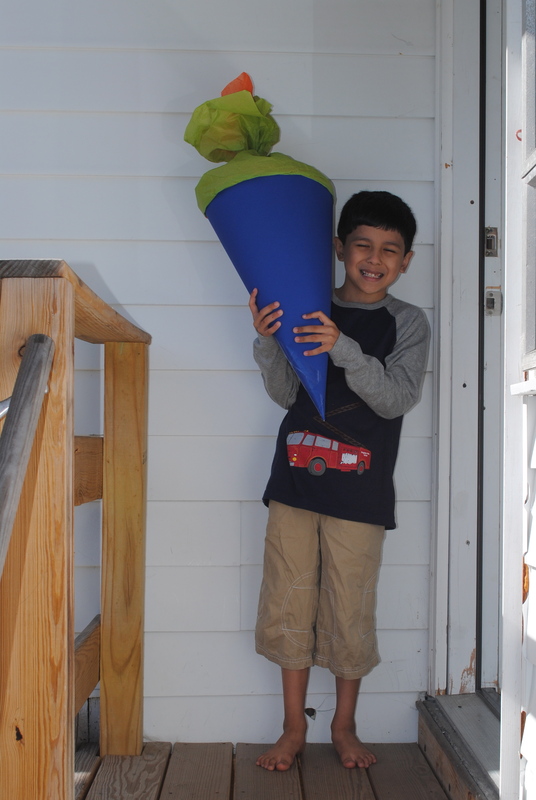 It is basically a big cone full of school supplies and treats and is given to children on their first day of school, which in Germany is generally First Grade.